Origami Owl Family of Brands is expanding – be a part of our growth! In only seven years, Origami Owl has attracted more than 45,000 Designers and has also been renamed Origami Owl Family of Brands with the 2016 acquisition of the willa teen skincare company. Within a few months later, the deal was done and the Origami Owl Family of Brands announced its partnership with Willing Beauty. WHAT’S DIFFERENT ABOUT ORIGAMI OWL? Origami Owl cherishes family and that's also how we see our employees. When you visit O2's home office in Chandler, Arizona, you’ll notice "Nest" is a place filled with friendly faces, caring hearts and lots of fun. Our values are more than just words–it's the core of who we are! Resumes or questions can be sent to careers@origamiowl.com. Please reference the position of interest. 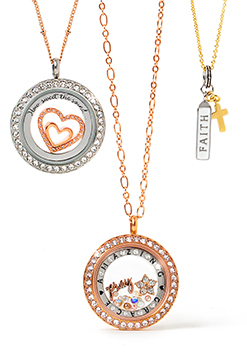 At Origami Owl, just as each of our lockets tells its own special story, we also know that each of our employees is unique, and a one size fits all approach to our benefits is not what we are all about. That is why our Total Rewards Package is about providing choices for you and our dependents. Each of us has different health needs and are at various stages in life. When it comes to Medical Plans, our Health Savings Account (HSA) plan works perfectly for some, while others prefer one of our two PPO offerings. Some like minimal premiums, others are looking for small deductibles. It is up to you and what fits best with your lifestyle. We believe that preventive dental care is also vital to your overall health; that is why we offer two different levels of dental coverage. Some of us only see the dentist twice a year for our checkups, while others have children with braces. Whatever your needs are, one of our two Dental Plans should fit you nicely. Your eyes are the window to your soul, and we want to ensure that window is clear and bright! Whether you wear glasses, contacts, or have 20/20 vision and just need a wellness check, our voluntary Vision Plan benefit is there if you need it and will help keep you stocked with your frames and lenses. You know you have medical expenses, or maybe you need dependent care? Take advantage of our Flexible Spending Accounts which help you set aside pre‐tax dollars to help pay for those unex‐ pected or planned expenses while you lower your taxable income. Life takes unexpected turns, and while we cannot be completely prepared for every twist life throws our way, we want to make sure that our employees do not have financial worries when they are not able to work. That is why we provide 100% company paid Short and Long term Disability coverage for our employees. Thinking about continuing your education or going back to school? Our Education Assistance benefit reflects our commitment to personal development, where we offer assistance with tuition and book costs for qualified programs. When our employees grow, we grow, too! We love the commitment and the joy our employees show in their daily work here at Origami Owl. However, we also know that time away can refresh and energize our employees, and we could all use a play date now and then, right? Whether it is a week on a secluded beach or finishing up that long overdue home project, time away can refresh and energize us all. That is why we have 10 Paid Company Holidays and offer a Paid Time Off (PTO) benefit where you accrue more time with each anniversary. We also know there are times when other needs call you away – such as jury service or the difficult times of losing a loved one, so we ensure once again that you are covered with paid leave time so you can focus on your outside responsibilities. While life insurance is a subject we would all rather avoid, to ease minds once again, the company provides Basic Life Insurance to all employees, but also offers supplemental voluntary options for you and your family members. To round our package out, we also offer the services of an Employee Assistance Program for those times when maybe you just do not know where else to go. Employee Discounts + Concierge Services! Of course, we cannot forget to mention our Employee Discounts and Concierge Service! We have partnered with local vendors to provide products and services at a discounted rate or on site, and all you need to do is present your badge or make an appointment. 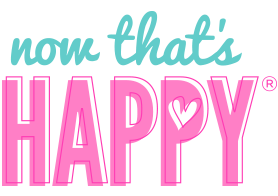 Oh, and how could we forget to mention those wonderful discounts on our own Origami Owl lockets, chains, charms and dangles? Culture is the heart of Origami Owl and our Mission. Most importantly, Culture is what is felt in the hearts of our Employees, Designers and anyone who is touched by Origami Owl. The Culture team exists to create a legendary corporate culture that is felt by the heart; one that is highly regarded and not only retains excellent employees, but attracts top talent. We are creating a Culture that equips our people, both Employees & Designers, with the tools to excel and succeed in both life and business. The Culture of Origami Owl is setting the standard and raising the bar allowing us to revolutionize the Direct Sales industry and beyond. As we continue to make this human investment, we will become a stronger, more productive and motivated workforce; changing lives along the way. The vision for the Origami Owl Culture is that it is the driving force for everything we are and everything we do; internally and externally. Our Culture should create behaviors that enable it to be felt at every interaction, both personally and professionally. The Origami Owl Culture exists to fulfill a greater mission, one that stems farther than the business. Through our Culture we strive to build stronger leaders, allow our Employees/Designers to grow personally, create a safe work environment where all are accepted, and provide the tools needed to profoundly change lives. With genuine love and a sincere desire to live our mission, we are able to be an authentic force for good. Chili Cook‐Off, Cookie Decorating Contests & much more! We put these benefits together with YOU in mind, so that you can maximize your talents when you join the amazing and unique individuals who make up this extraordinary team!